Having too many expansions and such begins piling up spellbooks with designs that may not match the theme of most used flavors. And people who I show the game to sometimes don't entirely see the 'point' of the physical spellbook and just suggest carrying the deck around MTG style. A valid choice, but just not in line with the flair I associate myself with (I pimp my games a lot). This is just a baseline. No flavor or extras really added beside the charm and beads. Each Mage I use will be receiving unique patterns drafted from this base and add accessories as appropriate (pyramid spikes on Warlord? Gems on Wizard? etc). 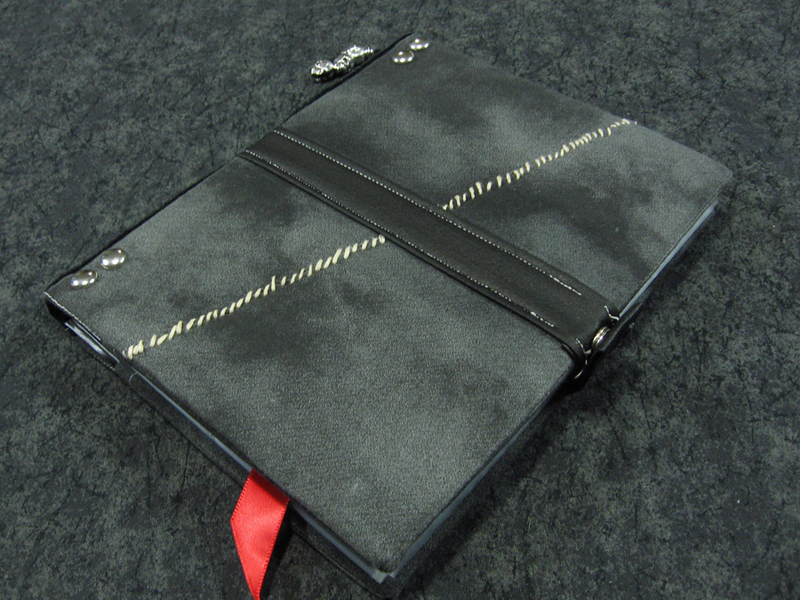 And as evident, these covers are also functional with closures and inner pockets to carry the unique markers and extras. And after my primary mages, I plan to do covers for my friend's mages as well. And if I can bring myself to, I may even do the unused classes as well. Just for the sake of an art & creative project. So I'll be updating this thread as this whole creative project continues. Got my first Warlock designed cover done. Or rather, mostly. 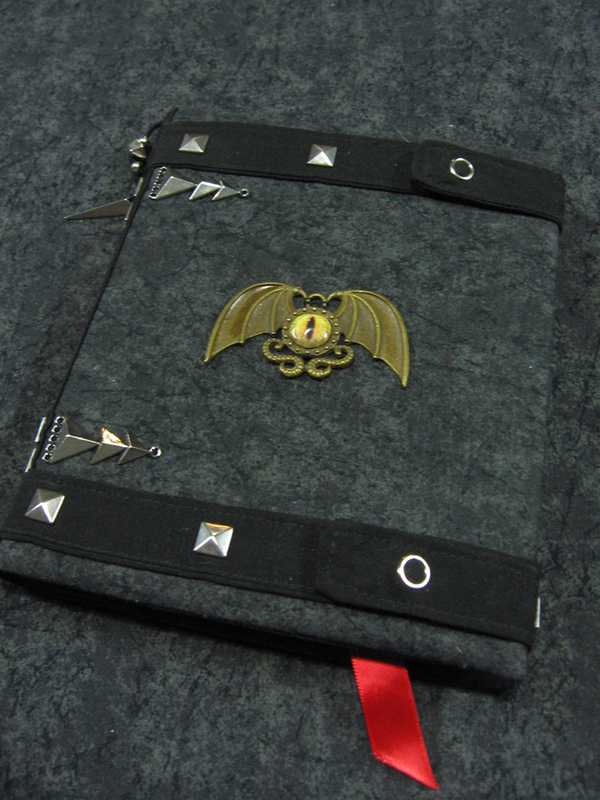 Still a few details and pieces to add such as some sort of embellishment or rune to the front cover, and the bookmark, and the charms/tassel. But otherwise the main construction part is done. Took a little longer than expected and learned some things for the next designs. The pockets, while semi-loose, are actually snug and tight when closed and clasped. The markers don't fall out even when handled a bit roughly. Long as it's locked shut. Next up, possibly a Warlord or Necromancer. How hard is this? Could you post instructions? I agree. It looks awesome! The unfortunate downside of using the binders is that it makes it a huge pain to reuse cards in different spellbooks, and significantly increases clean up time after a game.  Have you considered the idea of using card sleeves with a hole-punched tab on the end so you can put all the cards on a metal ring? Like a key ring only bigger. Basically what I'm talking about are playing card-sized one-pocket binder pages. That way you still feel like you're turning pages in your spellbook during play, but you can switch cards in and out much more easily, and the hassle of cleaning up after a game is much less since you can just stick all your cards back onto the ring. 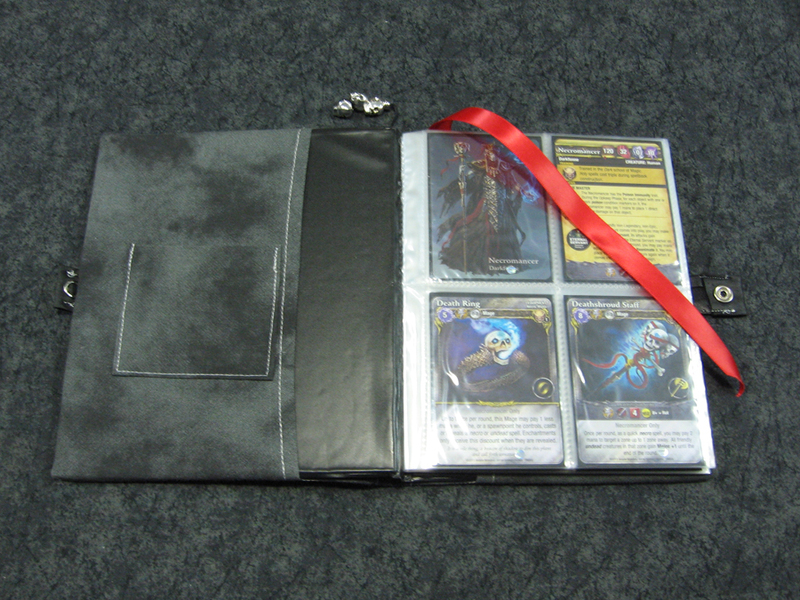 I looked into this a while back, but unfortunately the only thing remotely like "card sleeves with a hole-punched tab on the end" were ID card protectors like this, and those are ridiculously overpriced to buy in bulk. 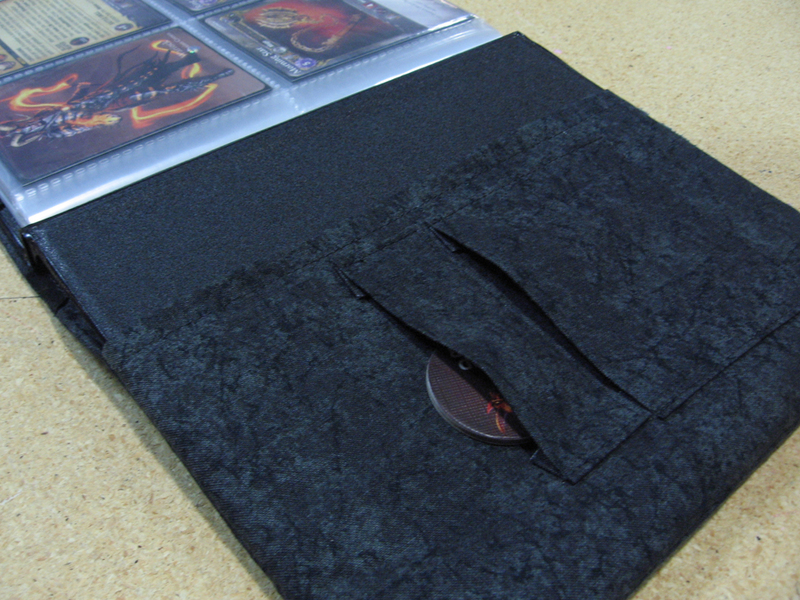 But if anyone would be willing to make card sleeves with a hole punched in the end that are big enough to hold Mage Wars cards in, I would be willing to pay for it if it was affordable. 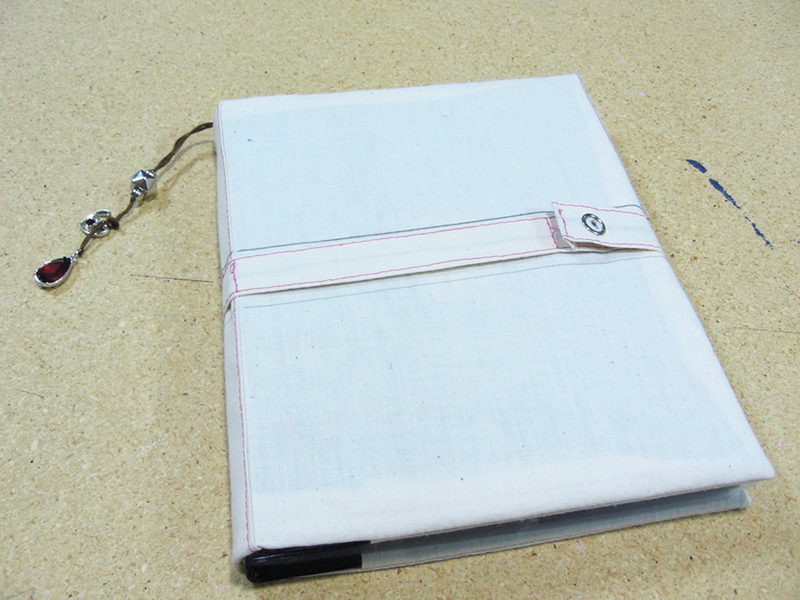 Basically what I want are one-pocket, one-ring, trading card-sized binder pages. Vulcan, that's totally off topic. Ludicium is just making nice looking covers around the existing books. I'm not looking for another way to play the game but I might spend some time upgrading the books if it's doable for non-handy people. Oh whoops. Got a bit carried away there. It was originally meant as a suggestion/have you tried making this thing too since you like artsy craftsy stuff, sort of thing. Didn't mean to go off topic lol, it just sort of happened. I do that often too. And sure. I can create an instruction set for at least the first draft up top since it's the easiest and pretty much the core of what all the other designs will come from. Then from there anyone can modify it to their liking. And it's easy, don't need too much craft know-how, or can likely get a friend to help. 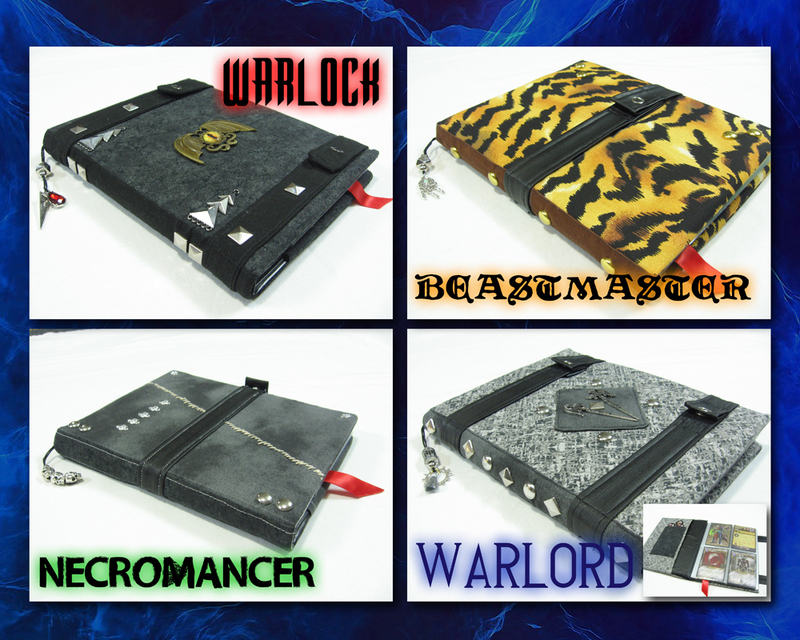 So did a while back get the final details onto the Warlock book, but didn't update on here. An interesting detail, the eye of the emblem 'follows' your own eyes. Also, I just recently did a fairly basic Necromancer book. 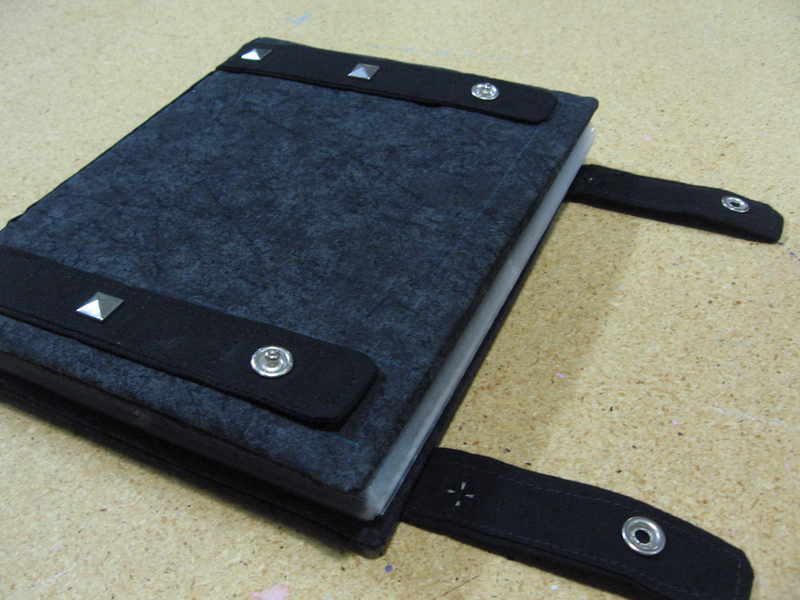 Just pretty much a base right now, but plan to also add on some embellishments and extras when I can track down some interesting enough to add to the cover. 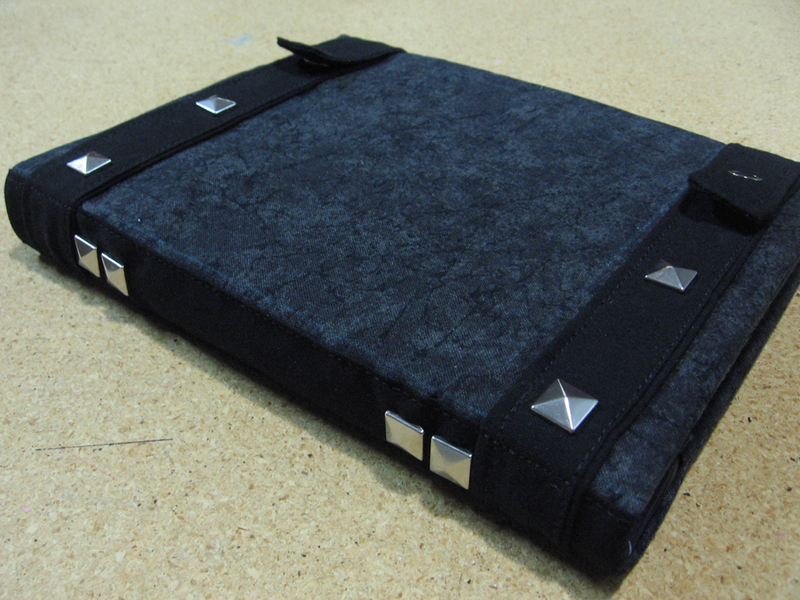 But as it stands, my favorite detail I did was the stitching effect. I might also repeat the effect on the backside, which at this time is rather blank except for the silver studs mirroring the front. I've also learned to buy straps, rather than make my own that wrap around for closure. Making them thin and appealing is a major hassle. I'll try to mock up a sheet and simple instructions for anyone interested in the base pattern of these and then modify as you need. Another update, I have made two more, completing my current SB collection set of 4 builds. I also made some improvements (mostly simplicity) in the pattern to make producing them faster and with fewer pieces needed. And with the simpler more straightforward pattern, I'll be able to share so anyone else can also make and modify to their needs. 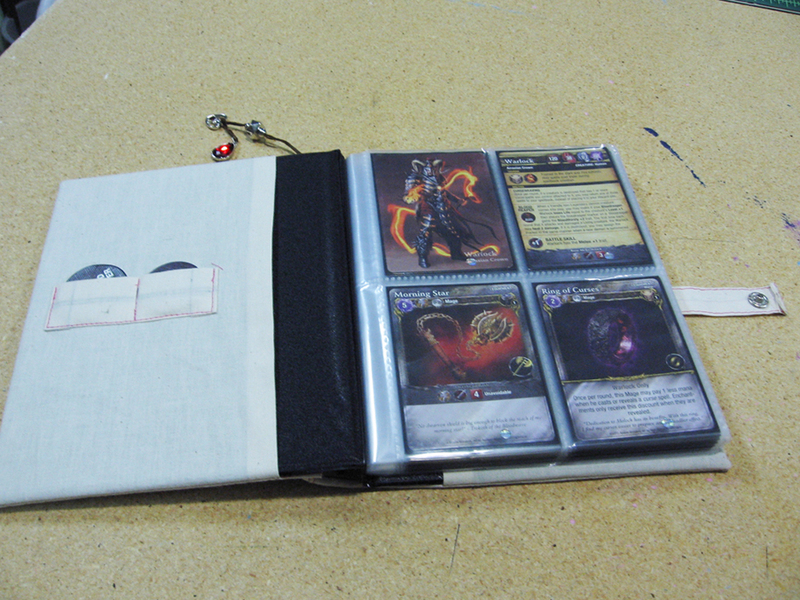 The Warlord is the only one I included an inserted picture to show the inner pocket, but all books have a pocket for tokens. Warlord is just the biggest since there are numerous Veteran Tokens. These are very good. Nice job sir. Currently trying to put together some simple instructions to share, but just not very good at making them easy to follow for everyone.